The region of Africa that today is northern Nigeria has been governed by Muslim sultans and emirs for centuries, through British colonial rule and the arrival of Christian missionaries in the 19th Century, and into independence in the 1960s. The northern Christian population grew rapidly, to the point where Christians today form the majority in half of the 12 northern states, which are now all under Islamic law, although Christians are in theory exempt from sharia provision. 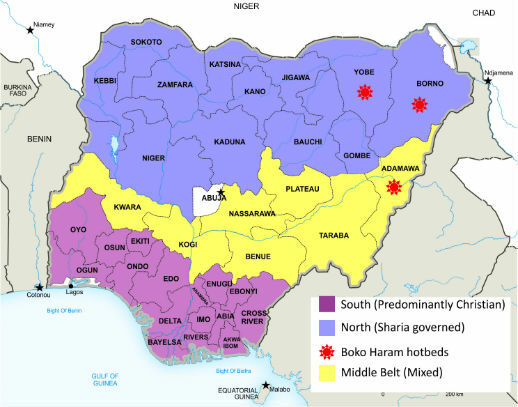 Across the “middle belt” that separates Nigeria’s north from its south, nomadic ethnic Fulani herdsmen, mostly Muslim, have clashed with indigenous, largely Christian farmers over grazing land for generations, and the conflicts have intensified since 2011, according to the report. After military rule and civil war yielded to a democratically elected government – headed by a Christian president – in 1999, the ruling Muslim political class in the north moved to consolidate their hold on the region. In 2000 and 2001, the 12 northern states incorporated sharia into their legal systems. 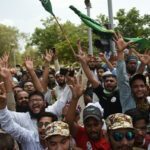 Radical Islam gained a foothold in the early 1980s, strengthened after the 1999 election, took on the name Boko Haram and blew up into a military insurgency in 2009 under a new leader, Abubakar Shekau, the Open Doors report said. In 2014, the latest year covered by the report, Open Doors says nearly 2,500 Christians were killed and 103 churches attacked. In 2015, beyond the scope of the report, the carnage only intensified – more than 4,000 Christian dead and nearly 200 church attacks, and the organisation said the verified count may be as little as half the actual numbers. From 2006-14, the report estimates Christian deaths represented 41 per cent of all violent deaths in the region during the period, even though Christians represent about 31 per cent of the region’s population. The result: churches emptied, businesses were lost and abandoned, Christian-Muslim relations deteriorated and communities segregated along religious lines, according to the report. Based on 122 interviews of church leaders and members and nine focus groups across the north, the report said nearly two-thirds of the participants claim church membership has decreased between 2006 and 2014. Gone also is the money those former congregants provided the churches and their programs. Four out of every five Christians interviewed for the report said perceptions of Muslims had soured during the past 10 years. The Christian virtue of forgiveness, participants told researchers, is more difficult than ever to summon. Asked to assess their future, three out of four of those interviewed said the outlook is bleak. Against this grim backdrop, the report identified several bright spots. The chronic violence has galvanised some Christians into political action, especially in the ‘middle-belt’ Kaduna and Plateau states, where the Christian share of the population is relatively high. But Christian political action is almost non-existent, the report says, in Borno and Yobe states in Nigeria’s heavily Muslim and especially violent northeastern corner. In churches where membership has declined, those who remain have found a new commitment to their faith and prayer life, the report says. And some of the Christians interviewed by Open Doors reported that church membership actually is increasing. Pews are filling up, they said, not only with Christians arriving from more violent locales, but also with former Muslims who say they are attracted by a Christian spirit of forgiveness, are driven by their own guilt, or are responding to dreams of Jesus. Open Doors said it provides emergency aid and trauma counselling to victims of violence. It funds clinics, water systems, schools, vocational training and micro-loans to orphans and widows, among other projects. The charity also provides Bibles, Sunday-school materials and other Christian literature. Strengthening the Church, however, will be a long-term project, and much of the work to be done involves its own leadership, the researchers said in the report. Pastors need better training and a heart for service above having a job; they need to prepare Christians, especially young people, to endure violence yet respond with forgiveness, they said. Trauma counseling is urgently needed. 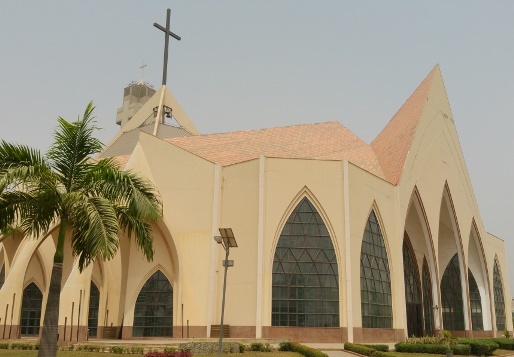 And perhaps most self-critically, the report said Christians in Nigeria’s north must abandon a “dependency mentality” that leaves them reliant upon political benefactors or wealthy relatives for protection and support. “Christians in the northern region are often not engaged in the domains of the economy, politics and education … He or she does not really want to advance in income, influence and knowledge through hard work, but is inclined to more easily relying on fate,” the report said. Outside the church walls, Christians need to press government for civil-rights protections, and to form relationships with Muslims, the study said. Develop its own strategy to combat violence against its members. Confront national and state governments with “the nature and impact of targeted violence, persecution, discrimination and marginalisation of Christians in northern Nigeria”. 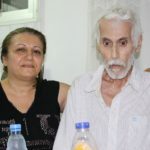 Provide humanitarian aid and security to “traumatised” Christian communities across the northern and Middle Belt states, and to churches that have taken in displaced Christians. 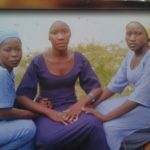 Petition state governments to return land to Christians that has been “bought, confiscated or simply occupied by the marauding and invading perpetrators of violence”. Create a legal team to “bring redress to all acts of impunity, injustice and discrimination”. The President of the Christian Association of Nigeria received and presented the report, “Crushed but not defeated”, in the presence of more than 100 church leaders gathered in Abuja for the National Executive Committee, on Tuesday 23 Feb. The public meeting, scheduled for 10am on 24 Feb. in Abuja, Nigeria, in which the report and the CAN declaration, “Nigeria Renew”, were due to be presented, was cancelled due to unforeseen circumstances. CAN announced that it will schedule another meeting to present the report and declaration. The General Secretary, Rev. 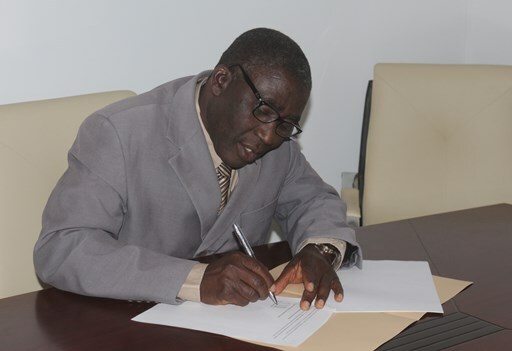 Musa Asake, proceeded with signing the CAN declaration, “Nigeria Renew”, which calls amongst other things for increased security and equality for Christians in northern Nigeria. The declaration was presented to Michel Varton, Director of Open Doors France, representing Open Doors International, who reconfirmed the organisation’s commitment to stand with persecuted Christians in northern Nigeria. 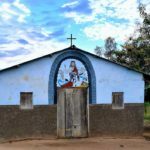 Christians in northern Nigeria have been facing years of violence and marginalisation, suffering many deaths as well as the destruction of property. The report also states that in some areas in the north, the church has almost completely disappeared. Rev. 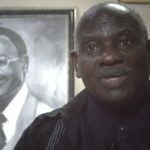 Samuel Dali is the President of the Church of the Brethren in Nigeria, known locally as Ekklesiyar Yan’uwa a Nigeria, or EYN Church. Located mainly in northeast Nigeria, EYN Church has been a direct target of Boko Haram attacks; most of the Chibok girls’ families belong to the church. He told World Watch Monitor that he hopes that this report will help to raise awareness on that issue. This is a call for southern churches to wake up and see Boko Haram insurgency as a common threat, he said. “We want the churches in the south and other parts of Nigeria to see this terrorism as not only for the churches in the north but for the whole country, because whatever affects Christians in northern Nigeria, eventually it will affect the rest of the country.